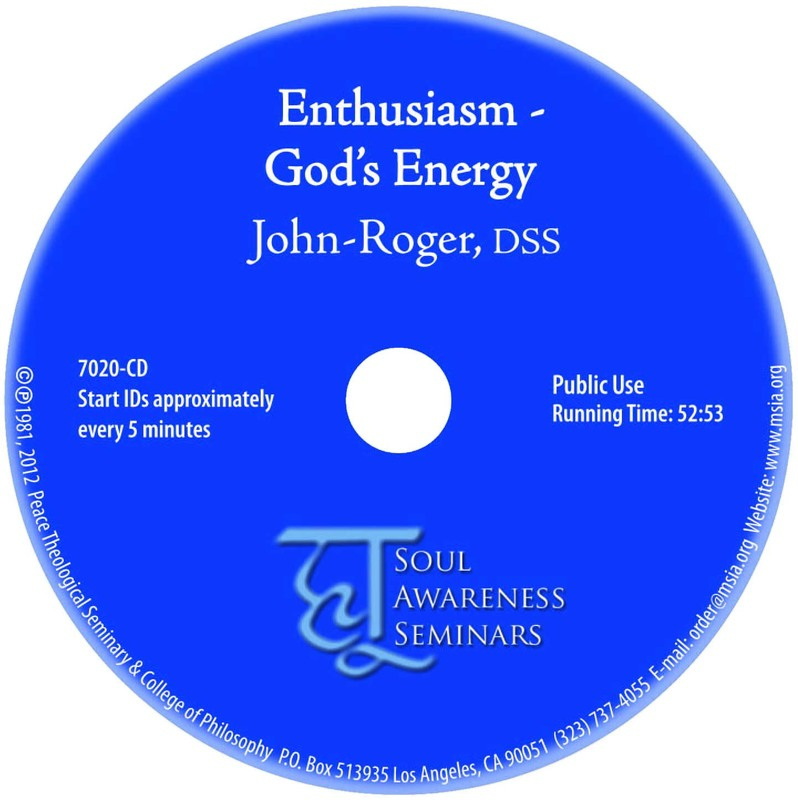 This John-Roger seminar from Rhode Island was sponsored by Insight Transformational Seminars. In it, he says, "There’s no problem with having enthusiasm when you have it. The problem is, when you want enthusiasm and you don’t have it." He continues, "I’m going to talk about how you get it when you don't have it." To help us out, J-R covers everything you ever wanted to know about the qualities of enthusiasm: what it feels like, how you and others respond to it, how to think about it, where it comes from and how to access it. Just that makes this seminar one to pay attention to! Because, wouldn't you rather live your life with enthusiasm? J-R says, "One thing that we must realize is that enthusiasm is contagious. If I have enthusiasm and I speak with that energy present, it isn’t going to be too long until you are listening to what I am saying. It is the very most primary energy. By the way, boring is the opposite end of enthusiasm." "A person who has genuine enthusiasm inside of them," this is still J-R speaking," has an energy that is very similar to the qualities of sincerity, love, courage, and patience. You sense it with them. It’s enduring and it’s persevering. The true, genuine enthusiasm, springs from the heart as though somebody turned on a fountain of life inside of you. And the very word 'enthusiasm,' going back to its derivation, means 'God’s energy.' "